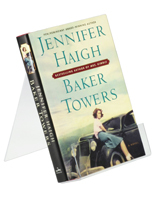 This table top display is perfect for featuring books, pamphlets, DVD's or other small items. The clear acrylic design allows viewers to see the entire length of the featured item. 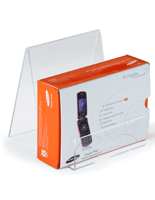 Each table top display features a lip depth of 1-1/2" for holding promotional materials in place. 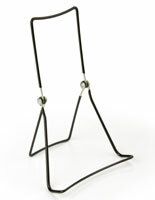 Retailers can use this acrylic easel for a wide range of functions. 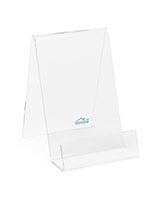 For example; this table top display, also called an acrylic riser can be used to hold a magazine or book on top of a large stack of the same item. 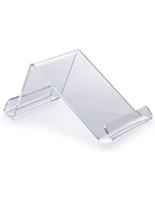 This countertop stand is designed to hold 8-1/2"w x 11"h stock. 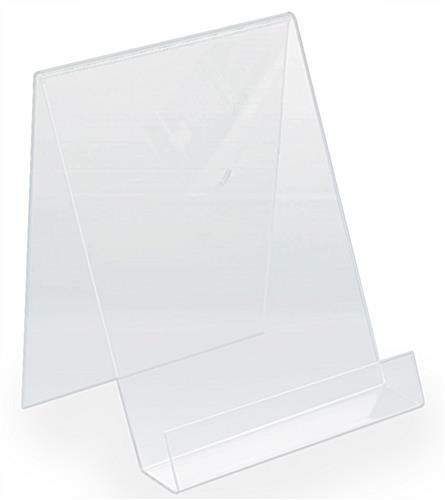 Each table top display is made from one solid sheet of acrylic; no seams or glues. The entire unit is 8" deep. Retail stores, banks and other public businesses typically use this table top display to offer flyers and take-home brochures to patrons. 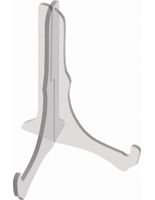 The standard 8-1/2" x 11" size makes this an ideal riser for most any type of magazine or paper hand-outs. If you would like this table top display personalized with a company logo or coloring, that is also an option that can be purchased. Call one of our customer service agents for more details. This table top display ships same day when in stock and ordered weekdays before 3PM EST! Please Note: Acrylic is 1/8" Thick. Quality from D2G as always! Great product, fast shipping all around great! You are my go-to website!! 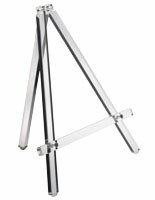 I have ordered four of these easels to hold my books during my shows. Great, sturdy, and reliable product! I ordered two of these plastic stands and they are working well so far. I'm using them to hold up small paintings on a display table.